The decision to go with Grasbrunn was an easy one for INDUWO. This lovely location allowed the builder to offer families of all sizes a beautiful new home with single-family and semi-detached houses as well as townhouses – all with a pleasant rustic touch. Here, you will awake from your slumber to the sound of birds singing. When you open up your window and take in the fresh air, a stunning view of the green fields opens up. You can begin the day with a bit of exercise. Then, after a refreshing shower, you wake up the kids for breakfast on the sunny balcony or patio. They then walk the short distance to the kindergarten around the corner and you head to work or run errands. 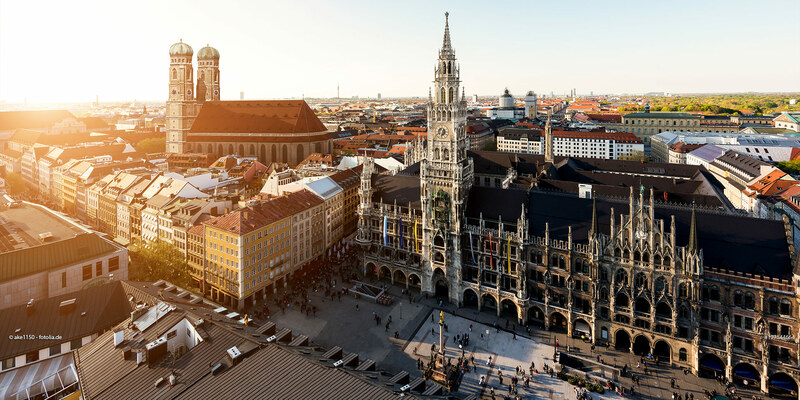 You don’t have to search for long to discover the many shopping options in the immediate vicinity of southeastern Munich. This also means it doesn’t take long to get back home to your loved ones when you are finished. 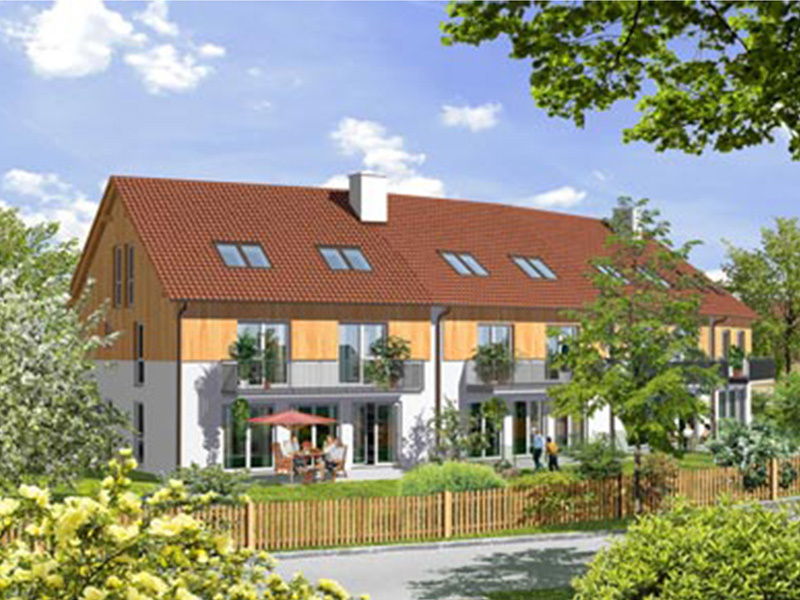 The community of Grasbrunn consists of multiple neighborhoods, each with their own rural charm: Grasbrunn, Harthausen, Keferloh with Neukeferloh and Möschenfeld. There is a local bakery and butcher to supply residents with fresh products, and daily shopping can be done in neighboring Neukeferloh. There you will find a large supermarket, a bakery and a butcher, as well as restaurants and traditional inns. For those who would rather stay at home, there is a delivery service available to bring all of your groceries right to your front door. 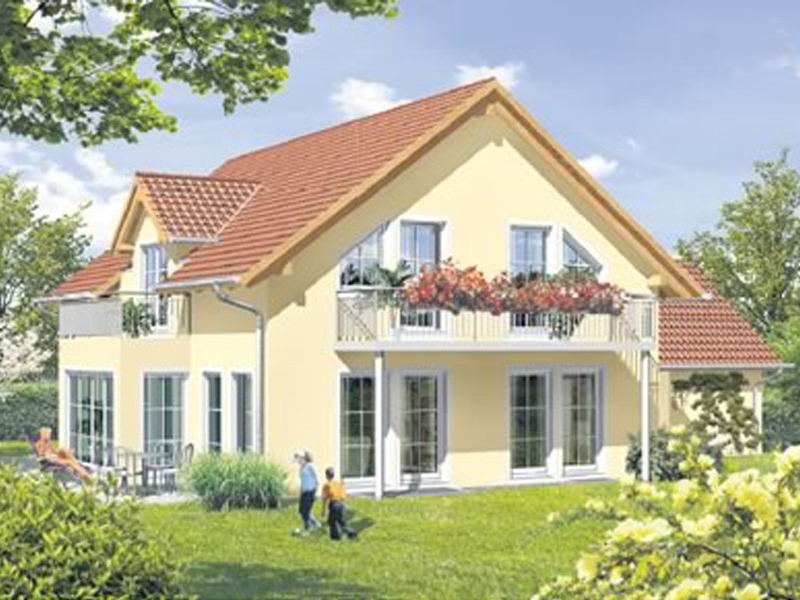 General practitioners and dentists have also set up their practices in Neukeferloh. 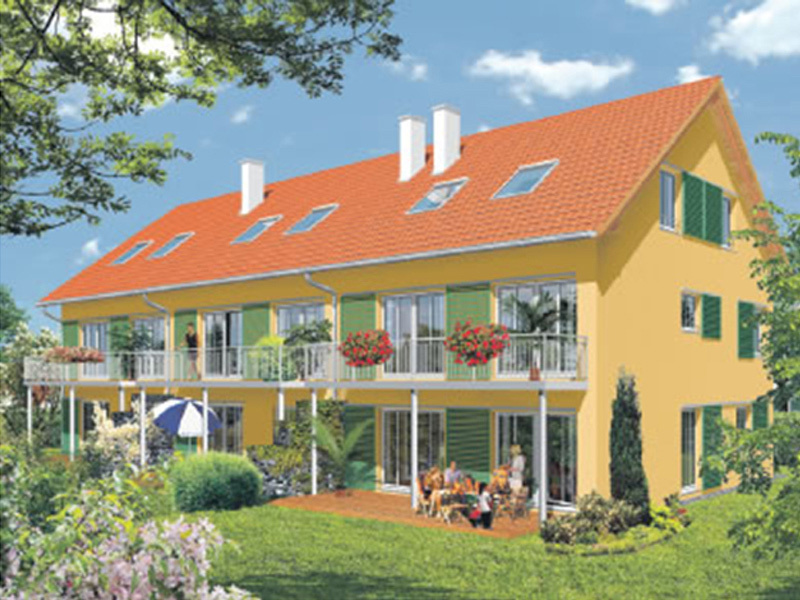 And with the nearby kindergartens and schools, your kids are always well accommodated. Schools for kids and adult learners of all ages – from elementary school (Grundschule) to secondary school (Realschule and Gymnasium) and an adult education center – can be reached by public transportation or car in just a few minutes. Kastensee and Steinsee, towards Glonn, are idyllic places to go swimming. And then there are, of course, the beer gardens: whether it’s winter or summer, you will always find a nice place to sit at Landgasthof Forstwirt or Gasthof Kreitmaier in Grasbrunn. Grasbrunn also offers an impressive range of free time activities: The spacious sports facility between Neukeferloh and Grasbrunn boasts a wonderful playground and is perfect for both activities and relaxation. The golf courses in Harthausen and Egmating are also popular meeting points. The bus lines 211, 240 and 243 will take you to the commuter train stations in Haar or Vaterstetten in just a few minutes. From there, the S5 departs regularly and takes you directly to Munich East Station and Marienplatz. If you’re traveling by car, you can reach Munich in just a few minutes via the A99. The connections to the other Autobahns towards Nuremberg and Salzburg are also easy to find. Southeastern Munich has become quite a coveted and increasingly significant business center in recent years. The Neue Messe Riem exhibition center, located on the former airport grounds, as well as the easily accessible airport in Erding and the convenient location close to the city and to all Autobahn junctions are just a few reasons for this economic growth. The community itself benefits from the industrial area near Neukeferloh. Several renowned companies are based here including from the high-tech industry, e.g. sgi, Giesecke & Devrient, IXOS Software, Network Appliance, Infineon Technologies and ThyssenKrupp.